No, not a movie about the USA women’s soccer team’s most attractive female player. 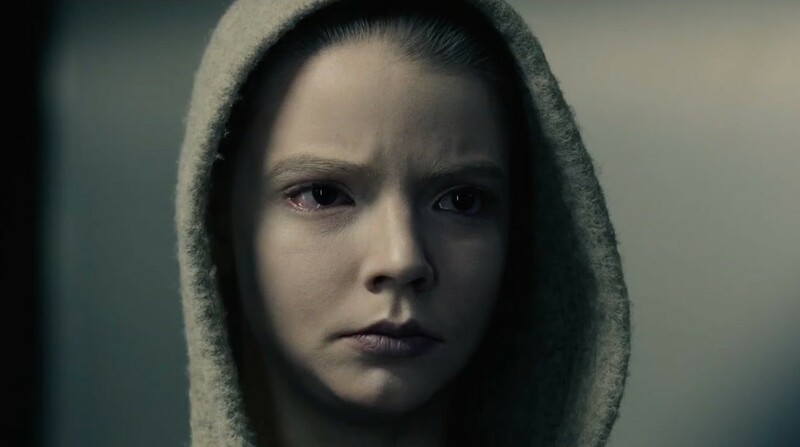 Morgan (Anya Taylor-Joy) is a scientific byproduct of a team of scientists. These scientists have been working for years on Morgan, their efforts to create an engineered human encompassing the best of humanity in intellect, feeling, decision making, and the works. Or so we think. A violent incident, though, leaves Morgan’s future up in the air. 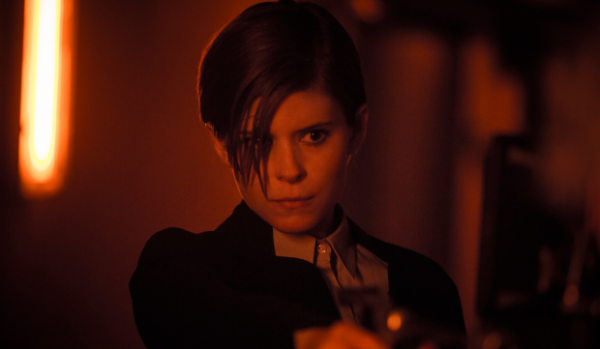 This incident forces risk management consultant Lee Weathers (Kate Mara) into the foray. She must decide whether this creation is worth keeping around, or terminating. But like anyone who invests a lot of time into something for a long time, it can be tough to let go, and these scientists will not stand idly by and let another person make this big decision. The sci-fi genre has long been one of yours truly’s favorites. It is a genre that can be so inventive, much of its inventiveness often predicated on what is currently going on in the world. I think there are new science fiction stories to be told, but they’ll be dependent on what advancements are in the future pipeline of science and technology. As such, there have been a few notable sci-fi movies that delve into humanity lately. The latest in the genre, Morgan, takes one of the central themes of sci-fi, that of “what determines being human and can you create that synthetically?”, and creates a movie in which one could care less whether that question is answered or not. More likely, I don’t know if Morgan, directed by Ridley Scott’s son, Luke, is itself interested in answering the question or even exploring it. Again, it is a question, albeit well-worn, that many films have made intriguing. At least for the first half or so of the film, Scott appears like he wants to get into the question, but man oh man, his full-length directorial debut has pacing problems. It’s one thing to be slow-burn, another thing to be flat out slow. Wouldn’t be so bad if more was found out about the characters, but little is and I struggle to remember all of their names and reasons for being in the story. Not until the oft-entertaining and memorable Paul Giamatti rolls in that Morgan begins to pick up the proceedings. The scene with Paul is easily the entire highlight of the movie and his character does the best job of addressing the question of being human. After that, Morgan gets reduced to a killing machine eviscerating most of the characters in the compound, not unlike a certain Friday the 13th character. But even the kills are pretty tame and drab, falling in line with much of the rest of the runtime. If you’re gonna get slasherific, might as well go bold with it. Perhaps the biggest problem with Morgan is that there’s little reason to care about anything or anyone. As stated, most of the characters fail to make any lasting imprint. But even the story, as science-fiction as it is, doesn’t feel fully realized for a sci-fi movie. Compare this to, say, Ex-Machina, where in 15 minutes a good deal is found out about Ava, the program, the brilliant billionaire jerk genius, and the test subject. The audience is more or less dropped into this world with a brief debriefing over phone to the main character that does nothing for world-building. Will be worthless to talk about the bulk of the cast, aside from Toby Jones whose recent work in Wayward Pines, Captain America: The Winter Soldier, and now this seem to indicate he may be typecast as an unethical scientist. Focus is on the two main actresses who are responsible for the bulk of the film. Anya Taylor-Joy is a star is the making. She isn’t really the villain but gets tasked with obvious villainous actions, yet is still vulnerable with those striking eyes and a little heartfelt in some moments. Her opposition is Kate Mara, playing the heroine. She’s functional, nothing impressive. All for strong heroine leads, but she suffers from a lack of believability in her particular role. Not going to give anything away (feel like a dunce for not seeing the reveal sooner), but there are numerous actresses who carry hardened personas better than Mara. Morgan attempts to carry itself with the sophistication and intellect of sci-fi classics, but really, like a five year-old child, it doesn’t fully know what it wants. Gotta agree with this review. Morgan leaves so much unanswered and it wastes such a good cast on bland, unoriginal and sometimes even stupid ideas. It’s just another vaguely hypothetical situation that never gets past the suggesting phase. 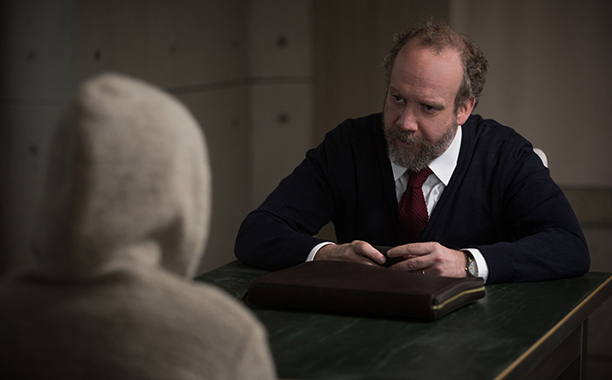 Ex Machina from last year was a much better example of the question(s) revolving around what makes A.I. a noble or possibly unethical endeavor. Like I said on your post, biggest sci-fi disappointment since Self/less. 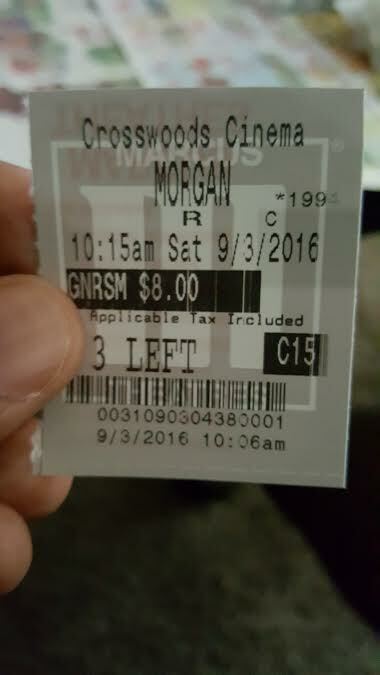 But this did seem to have more potential than that movie, so I think you’ve got to say Morgan is the bigger disappointment. Always doing the best of jobs, Keith! It was funny how that was an excuse for everything. Thanks Jon! Just did one a few days ago lol.